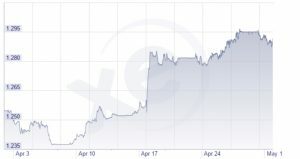 The general election has undoubtedly given confidence to the currency markets as the pound has risen almost 5% against the dollar in the last few weeks. This is good news not just for holidaymakers travelling to the USA but it’s also good news for all passengers looking to book a holiday at the moment. Most holidays (outside Europe) are bought in dollars by UK tour operators and then converted into pounds. A £3,000 holiday is now almost £150 cheaper with some operators than it was this time last month. So now is a great time to book a holiday outside Europe. Although this may not last long. If Donald Trump’s main focus is to drive the US economy forwards without worrying too much about inflation then interest rates could rise in the long term and the pound could weaken against the dollar again. While the pound may have strengthened significantly against the dollar it has only risen by a couple of percent against the Euro in the same period. This means that while European holidays may be a bit cheaper, they won’t be by the same extent as non-European holidays. Also, it’s worth bearing in mind the fact that the pound is unlikely to strengthen much against the Euro unless either a) the markets can see a clear and reasonable Brexit or b) another financial crisis arises in the Eurozone. The increased volatility of the pound for the last year or so has not helped holidaymakers, operators or airlines alike as they are constantly having to adjust to new pricing structures. However for the savvy travel who keeps an eye on the market the volatility can be an opportunity if you are willing to book your holiday or buy your currency in advance at the right time.